Palo Alto is turning to technology to help prevent people from attempting to stand in front of or jump in front of trains traveling through the Peninsula city. Bob Redell reports. Palo Alto is turning to technology in hopes of preventing people from attempting to stand in front of or jump in front of trains traveling through the Peninsula city. The city has installed thermal imaging-equipped video cameras designed to keep an eye out for people standing or hanging around the tracks at four railroad crossings within city limits. While the video cameras have already been put in place, the city is still conducting rounds of testing before making the cameras fully operational later this month. Palo Alto has hired a company to watch the camera feeds from an off-site location and call law enforcement if they spot anything unusual. Those monitoring the camera feeds can also speak via a public address system to alert someone on the tracks that help is on the way. The Peninsula city has been paying security guards to scan the railroad crossings since about 2009 after a number of teenagers committed suicide on the tracks. Unlike the human eye, the cameras are able to scan for movement roughly 1,000 feet away from where they are located along the tracks. The cameras can also capture movement when its dark, raining or foggy. 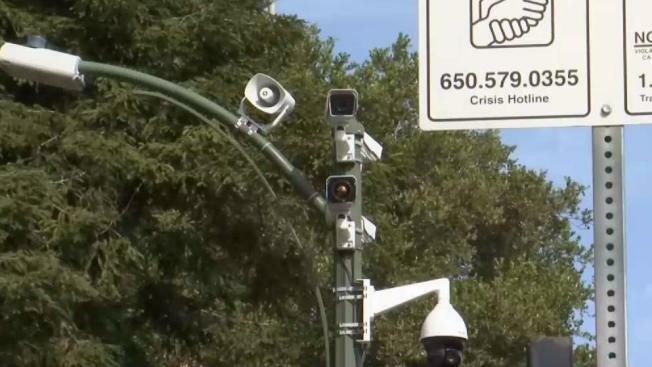 "We're hoping that not only will this provide better monitoring, the ability to see much better down the tracks than the human eye, but also in the long run to provide faster notification to law enforcement and be more cost effective," Claudia Keith with the city of Palo Alto said. The cameras will save the city money in the long term despite the $1.5 million cost to install the equipment and $325,000 yearly cost to operate.